TICTAC is a visual drug identification database covering medicines, illicit drugs, veterinary products, vitamin and food supplements, herbal remedies and products that might be mistaken for drugs such as confectionery. This is a long running project at System Simulation - in the region of 15 years. 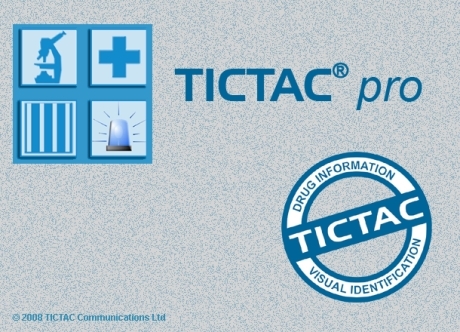 TICTAC helps the pharmaceutical industry, police, customs, hospitals, and other emergency services like the national poisons unit to identify drugs, and it's one of the largest drug databases in the world. System Simulation's client for the project is toxicologist John Ramsey at St. George's Hospital Medical School, part of the University of London. As well as currently available substances and pharmaceuticals, the database also holds information on historical drugs, as these are also likely to be found, which is one of the reasons the database is so big. There are around 11 different incarnations of TICTAC but TICTAC Pro (CD-Rom), TICTAC Net (locally hosted intranet) and TICTAC Mobile (online, for pda and handhelds, chiefly targeted at the police) are the principal products. System Simulation also devised a data output version of the project. A SOAP interface is available which can be used by high-street chemists using TICTAC within a company intranet to allow staff to identify drugs handed in by customers.